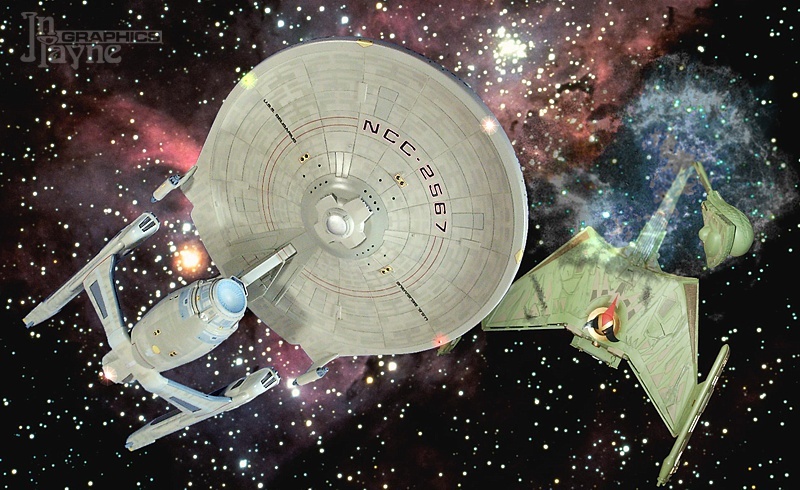 With Romulan and Klingon relations uncertain, Starfleet Defense decided it was time to lay keel on some serious battleships. A natural progression from the triple-nacelled dreadnought theme of enlarged secondary hulls, The Alexander Class ships utilize, rather, an extended primary hull similar to that employed by Knox Class frigates, mounted to a modified Constitution-style secondary with underslung, jettisonable nacelle pylons. 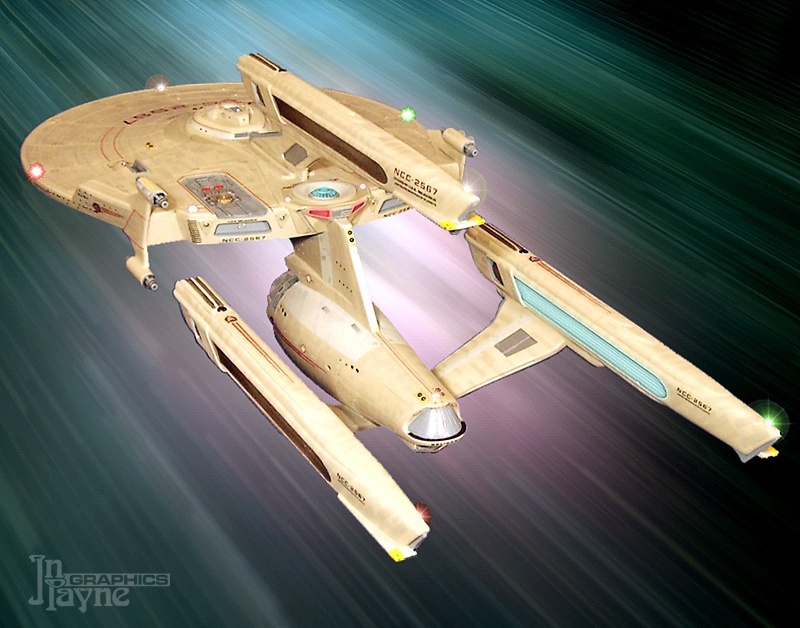 With the third nacelle atop the primary, an emergency seperation leaves the ship with both warp maneuvering ability and most of its hangar space. 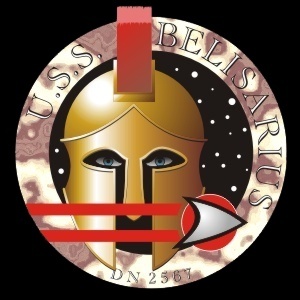 Boasting the most formidable armament of her time, Belisarius mounts no less than four megaphaser cannon on the primary hull, with enough reserve reactor power to fire all four in salvo. 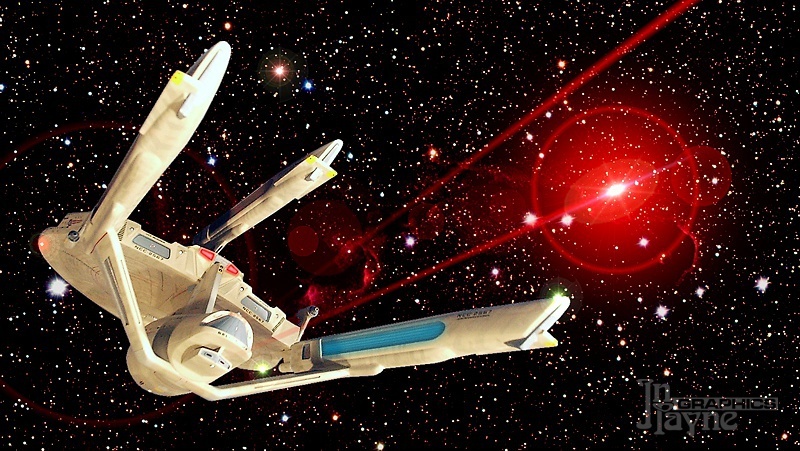 She also mounts eleven standard two-turret phaser mounts covering 360 degrees of defensive envelope, and both fore and aft photon torpedo launchers. This dramatic image was captured at the recently declassified Q'aBul Incident. Belisarius has just crippled the B'Rel class IKS B'iNla D'iN with a careful shot from her standard phasers, and is forced into a double-play -- the sudden decloaking of the full-sized K'Tinga-Class battle-cruiser GhuiLj 'Iw has forced Captain Zappas to abandon subtley and go for the certain kill. Seen here on maneuvers, Belisarius fires a pair of torpedoes at a target drone from her aft tubes. With three small craft hangars, the aft space is primarily used for supplies and cargo, with most of the ships' shuttles and attack craft housed in hangars 2 and 3. 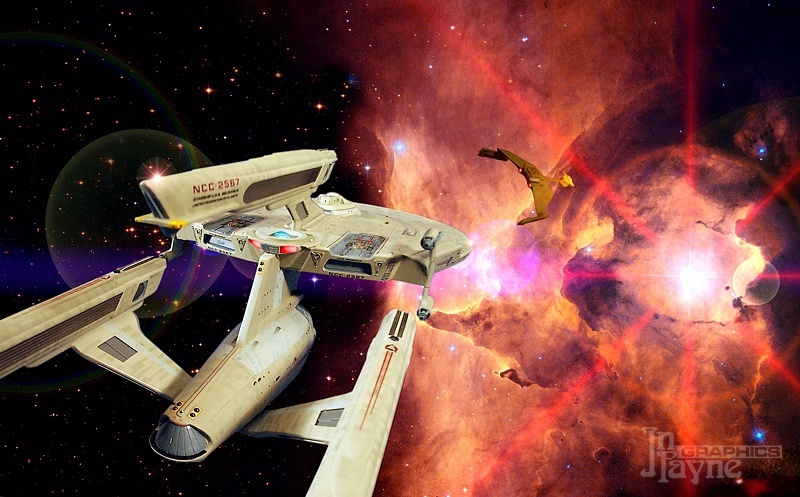 This angle illustrates how easily the main warp nacelle mount can be jettisoned in an emergency, though the ship is barely maneuverable with only the single, central nacelle and the full mass of the secondary hull still attached. 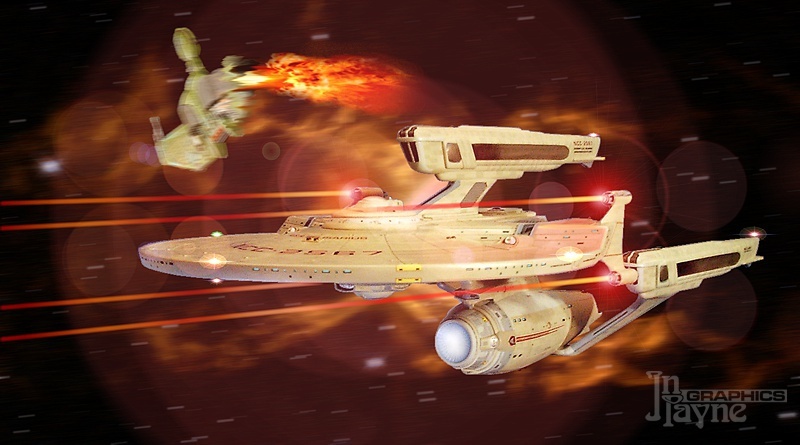 Belisarius pulls alongside IKS Botlh NItlh, a haze of escaping atmosphere enshrouding the Klingon cruiser, to rescue survivors in the aftermath of another border incident near the Klingon Neutral Zone. Remarkably, thanks to outstanding marksmanship in disabling the K'Tinga Class vessel at its weakest point, 85 percent of her crew were recovered alive to be returned to their homeworlds in eternal shame. "If he goes in there, we'll lose him!". to a profile chart of all the ships in this section.